L.G. 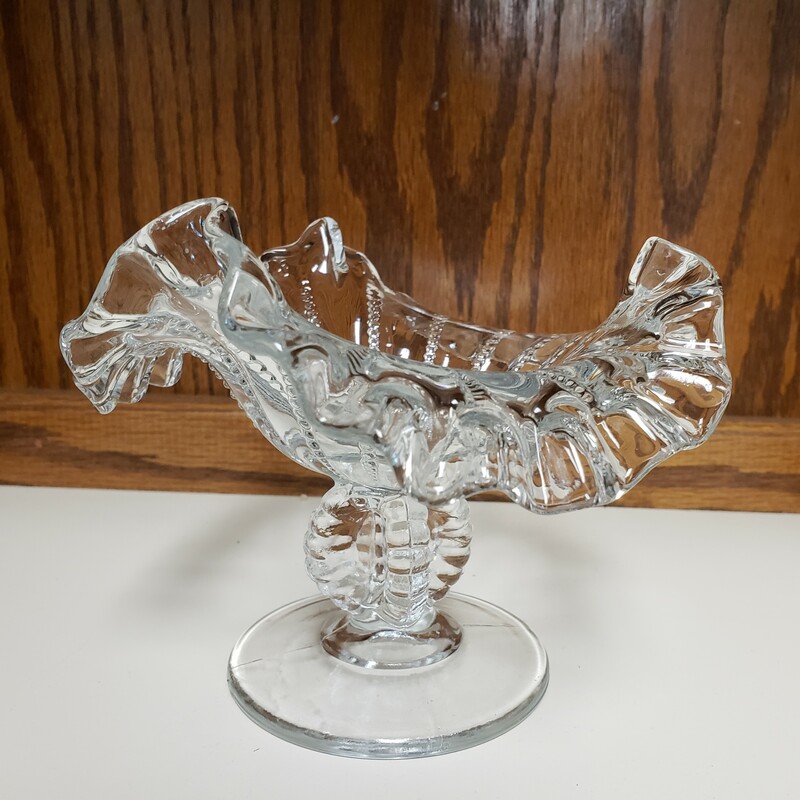 Wright Beaded Panels Ruffled Edge Compote in Crystal, Bargain Shack offers Boyd Glass, Mosser Glass, L.G. Wright, and Contemporary Collectible Glass including Vaseline Glass - J.B. Scottie Dogs, Pooche, Animal Covered Nests, Toothpick Holders, Salts, Glass Animal Figurines, Clowns, Dolls, Slippers, Vehicles, and More! This a a beautiful L.G. Wright Beaded Panels with Ruffled Edge Compote in classic crystal. Judging from the weight and feel of the compote it was most likely made by Fenton for L.G. Wright using their mould. This would be a great candy, mints, or nut dish and be a great gift.